How Much do you value having Options in Life? A few days ago, I was alerted to a comment on my Facebook about a blog post. The author of the post came to a conclusion that it is better to use cash to pay down our mortgage, instead of using our government forced savings, the CPF OA account. I tried to understand why this person who shared this post was not very happy. Turns out, according to him, there is not just one scenario you need to think about. There is some in-sensibilities in that, some savings that could achieve, perhaps makes less of an impact in real world application. He felt there should be greater explanation. Writing blog articles and giving advice is not an easy job. Sometimes you have to think about who are your niche audience. Your niche audience might prefer you to abstract the details, and just tell them: which is better? A or B? If I look at the numbers to use cash to pay down our mortgage, there is little dispute. All else being equal, you should use cash to pay for your home mortgage. 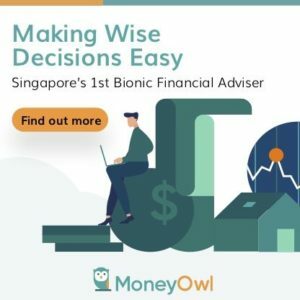 Your cash earns close to nothing, and paying off this 2.6% interest mortgage and letting your CPF OA accumulate at 2.5% interest looks to be sensible. In a lot of cases, the audience would conclude that A should be the way over B.
I have said it a few times, as long term readers can tell, that there are most often not only 2 choices to choose from. In my article on my insurance philosophy that I derive from living with insurance over the past 12 years, I said that there are 2 extreme points, totally depending on yourself to cover health events, or ensuring every single cent is covered. We are often lead to believe that it is always better to be covered comprehensively. The reality for many is that this could not always be the case. Some of us struggle to make our meager salary work, especially if the household depends on single income and there are many kids. The right solution could be somewhere in the middle, and you stand to gain some of the benefit of insurance, as compared to totally self insuring. Reading that post on which is the better method to service the mortgage leads me to reflect upon the narrative I been reading for a few years. Particularly, in the space of financial independence. You see, we started off trying to figure out what is the best, the more logical solutions. And then we go about implementing them, because math wise, they are the right thing to do. The above 2 points are hard to dispute. There may be some of you who disagree with #2, after being subjected to a barrage of public relays that being restricted is good for us as a whole. In general, I think not having choices is not something most of us that is being exposed to democracy would want. You have the option of doing a transfer of the funds in your CPF OA account to your CPF SA account. Based on the math, this is a no brainer because the 1.5% extra matters to increasing the compounding power of your wealth, over a 40 year period. However, this process is irreversible, in that, you cannot transfer funds from your CPF SA back to CPF OA. Adopting linear planning may be able to alleviate the impact of these risk. The most common way is to ensure that you build up an emergency fund of 6 months, or 2 years of cash in case you need to service the loan with cash if you lose your job. Proactive planning of funds for children’s tertiary education can alleviate the second problem. A slightly different cousin to the former is when you consider doing a voluntary top up using cash into your CPF SA. The objective is to hit the CPF Retirement Minimum Sum early, and let the money compound at 4% risk free. The second benefit is that you can claim tax relief up to $7000 on your income tax, when you do the voluntary top up. I have written in the past why I do not encourage people to actively do this. I listed 6 points but I felt the biggest is that, should you deliberately plan to be financially independent early, these amount you top can only be accessible earliest at age 55 years old. If you have ample amount build up that you do not require the funds you channel to CPF SA, then its all good. However, those who have that target, would really wish that they could cash flow more earlier in life. The other big factor is that, starting business may require capital. Locking in your funds in a mandatory retirement account may result you to incur opportunity costs on great yet feasible ideas. Finally, I have acquaintances who found the going tough in Singapore, for the skills they are trained in. I also have acquaintances who, due to their children’s challenges in life, chose to go overseas to give them a better life. Having cash capital would help them immensely to move abroad and restart that part of their life. On a personal finance level, we often make the decision to spend on something we want now versus setting aside that money for a future goal. In most cases, you have a less concrete idea what to do with your savings in the future. You could use it for your retirement, see it as rainy day fund, or funding your future wedding, should you find that ideal partner. Spending now is more concrete. You see something, you yearn for it. You derive happiness from it. However, the more a person chooses to spend to satisfy his current desire, the less options he has in the future. In the worst case scenario, the person chooses to borrow money to satisfy the current desire. Debt is a bigger problem because,when you go into debt, you are borrowing from your future self. And this amount of money you do not know what you will spend on in the future. Thus you are depriving your future self of something, and you cannot determine this now. Not building wealth for tomorrow is a vote for not having options in the future. Getting into debt is a way of further narrowing your options in the future. On the other hand, I could think of some situations where options are not great. What I also realize is that people are seduced to having options, more often because they are not very clear about what they want. In some disciplines at work, we start off as a generalist. And we could remain as a generalist for a large part of our working career. However, that might not be the best way to steer your career. There are some disciplines that is more lucrative if you specialize in a certain domain, or technical competency. This is especially so in Information Technology. You could be rather good in all areas, but the question is how do you moved up? You could eventually become a team leader, than a manager. If that is what you want. Some people are forced to become a people manager when it is something they are very uncomfortable with. Not the best way we hope to manage resources here. If you specialized in a certain technical competency, you can become a subject matter expert, and your skills are more sought after as people will pay well for competent folks with good depth of knowledge. Being specialized here does not mean you only know only one technical skill, but have supporting skills that can be packaged with one very clear and visible technical skill. When people choose options, sometimes it is because they do not have a clear focus. And thus investment linked policy sold well in the past. This is a product where they package insurance and investment together. You can have the option to decide how much of each to have, and whether you would like to attach additional coverage to the plan. This sells well because the optionality factor was pushed hard. However, the price you pay is the higher fees due to this black box surrounding the term insurance and unit trusts that make up the policy. You could purchase equivalent unit trusts and insurance without the wrapper, and not be subjected to hidden costs. When we were discussing this among the bloggers, Jon from DrWealth bring up the idea that optionality causes one to be anti-fragile. Not having options makes one fragile. And Nassim Taleb makes it very clear, anti-fragilty is necessary for survival and strength. La Pap from Bully the Bear emphasize that, anti fragile depends on whether we can thrive even better during bad times. Not having skill set would be our undoing. In the examples where linear planning trumps having options, you could see scenarios where frailness comes into play even though at first, our linear plans will work very well. I feel that, having options can be resilient, yet if you do not take advantage of the “options”, you basically chosen a way where you did not enjoy the benefits of the options, and you could find more value, had you chosen the so call best route.